“Thank you for letting us use your car to go upstate for a wedding over the weekend. Here is this bundt I made for you but please ignore that it has a slice missing. I had to eat a piece for “research” and for “photographic purposes”. That last one is truly the story of my life. The moment I set foot down the path of baked good overload a.k.a. writing a blog, I always seem to have an abundance of baked goods but they are never quite in perfect post-oven form. Once I gave away a whole cake which I had first cut a slice out of, took some photos, then replaced the slice and pretended like nothing had happened. Luckily I was able to re-frost it and no one even knew. Until now. Better to share half a cake with friends than no cake at all, right? Speaking of which, this cake is exactly the cake to be shared with friends – even if you sneak one slice first. 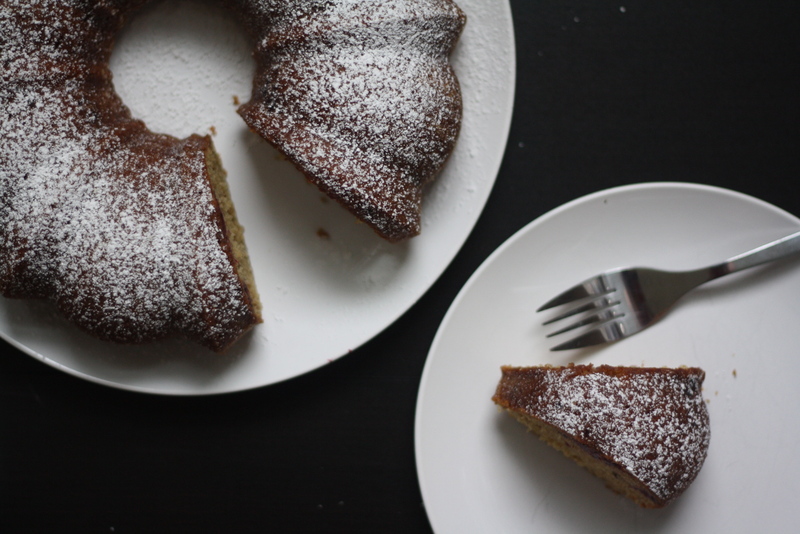 Brown sugar and buttermilk are two of my favorite things – second and third only to bourbon – and highlighting them both in a cake has been a long overdue mission. I have been dreaming of an everyday cake like this made with oil to be sure there wouldn’t be any time spent waiting for a certain something to come to room temperature. A subtle hint of cinnamon adds spice and maple syrup rounds out the sweetness of the brown sugar. Fresh berries are the final touch but really any fruit will work if it is cut small. Diced strawberries, tiny bits of nectarines, or omit the fruit all together and toss in chopped spiced pecans. Have you been needing an easy, super versatile, backyard picnic bundt for the summer months? Preheat oven to 350. Generously butter a bundt pan and dust the sides with flour. Set aside. 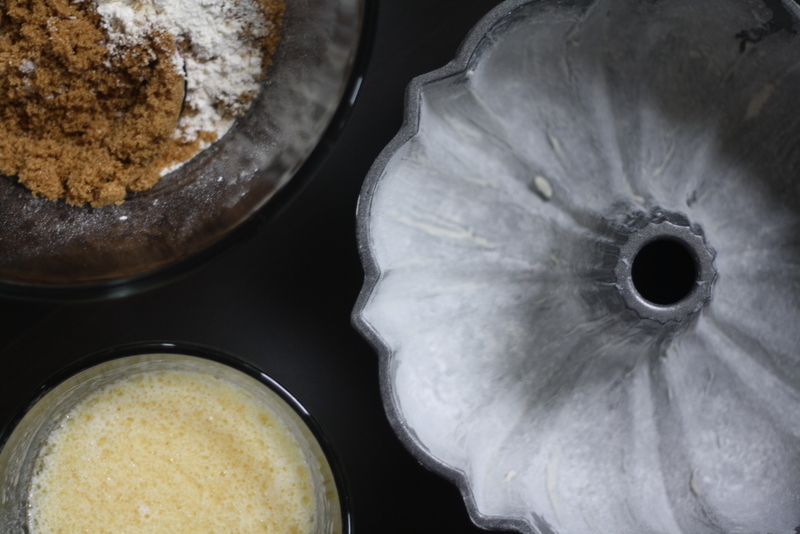 In a large bowl whisk together the flour, brown sugar, almond flour, baking powder, baking soda, cinnamon and salt. In a medium bowl stir together the buttermilk, oil, maple syrup, vanilla and eggs and beat until smooth. 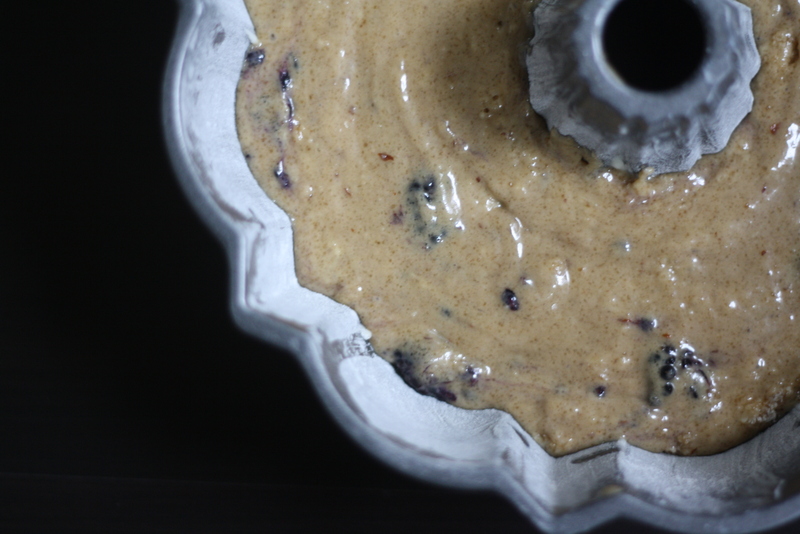 Make a well in the middle of the dry ingredients and add the buttermilk mixture all at once. Combine using several quick strokes but before everything gets mixed together add the berries – crushing about half slightly with your fingers as they are sprinkled into the batter – then finish mixing with several more strokes to fully combine. Be careful not to overmix and it is okay if a few streaks of flour remain. Pour evenly into the prepared pan and bake for 40-45 minutes or until a tester comes out clean. 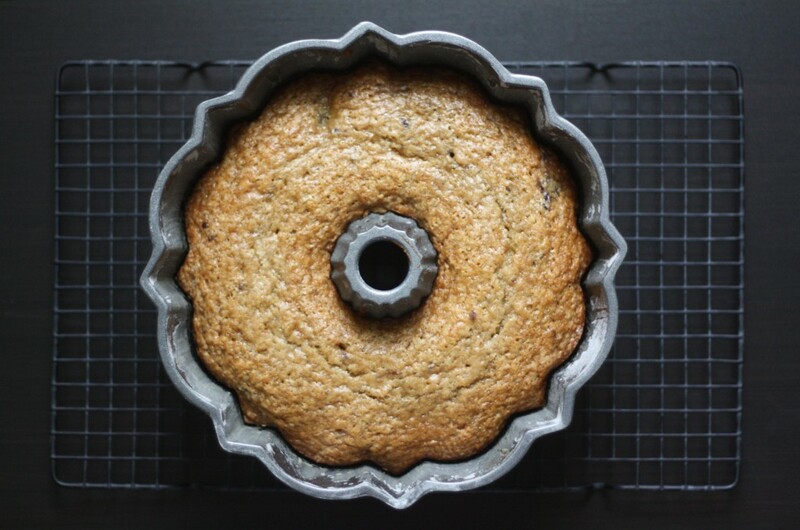 Transfer to a wire rack and let the cake rest in the pan for 30-45 minutes (this helps to ensure that half your bundt doesn’t decide to stay in the pan). Turn out onto a pretty plate and sprinkle with powdered sugar. This sounds fabulous, and it’s so easy! Yum! So beautiful! Nothing says friendship like a good bundt. 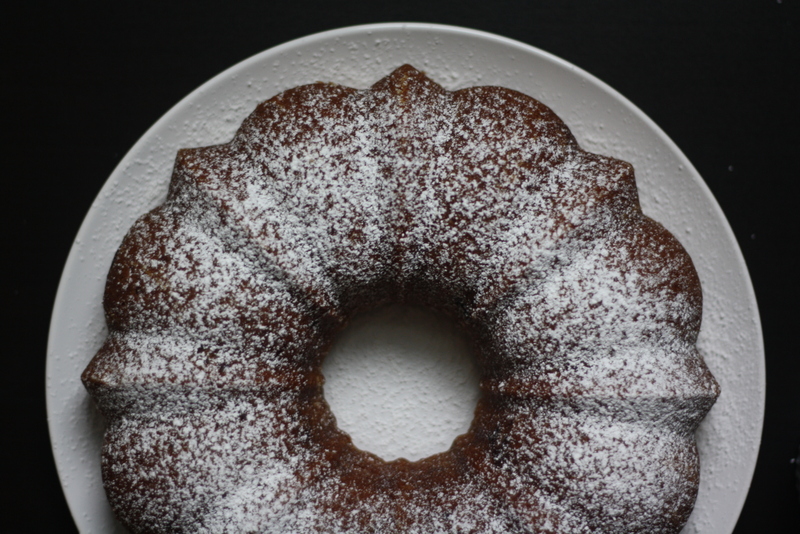 This is the perfect cake to get your bundt groove back [pun intended! Ha!] 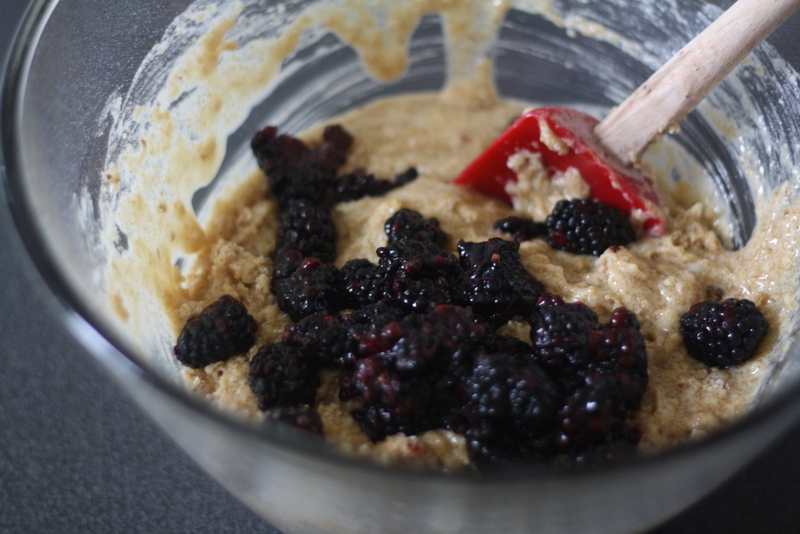 Some tips that work: really butter up the pan (use a tablespoon or two) and a few tablespoons of flour to coat it well. Then let the cooked cake rest a full 30 minutes before releasing. You should be good to go! Happy baking!! I LOVE your list of Sh*t Food Bloggers Say! I’ve said all of those things before. I can totally relate. Waiter [smiling]: Your pork chops with white beans, ma’am. Me: Wait wait!! Don’t put that down! I’m not done taking pictures of this wine bottle! Haha! YES – I have totally been there! Oh yes, the food gift with the missing piece (s)… They get used to it though and don´t mind one bit! 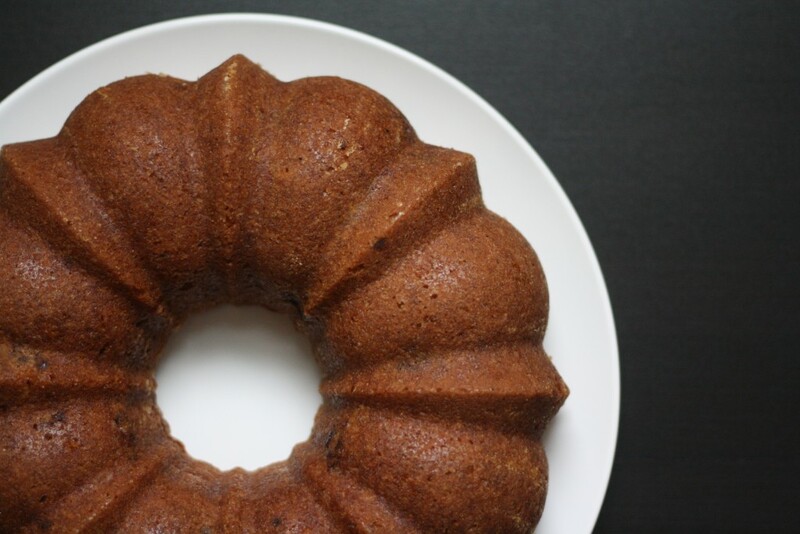 A bundt cake with maple syrup and spices, so perfect! I love this recipe! I did have a question though…I am a maple syrup fanatic so could I cut back on the brown sugar and increase the quantity of maple syrup? Also, I use organic maple syrup exclusively now…I changed over a little while ago as I find the taste to be so much better and it’s healthier as well. Do you find the same? I know it can be hard to find but I get mine online at a site called http://www.rougemaple.com …it’s from Quebec Canada and I love the taste. Please let me know when you get a chance. Thank you. Yes – I love organic maple syrup! What about using maple sugar in place of some of the brown sugar? You could cut back on the brown sugar a bit, but you’d also have to cut back on the other liquid ingredients as well. 1 cup brown sugar, 1/2 cup maple syrup, and 3/4 cup buttermilk may be a good place to start. I’d love to hear how it turns out! Thank you for that awesome link as well! This looks awasome! What a great recipe! Thanks for sharing! Excellent! And agreed – that site is awesome! Happy baking! I just love baking with buttermilk. And blackberries are my absolute favorite!! I think I might need to try this one! 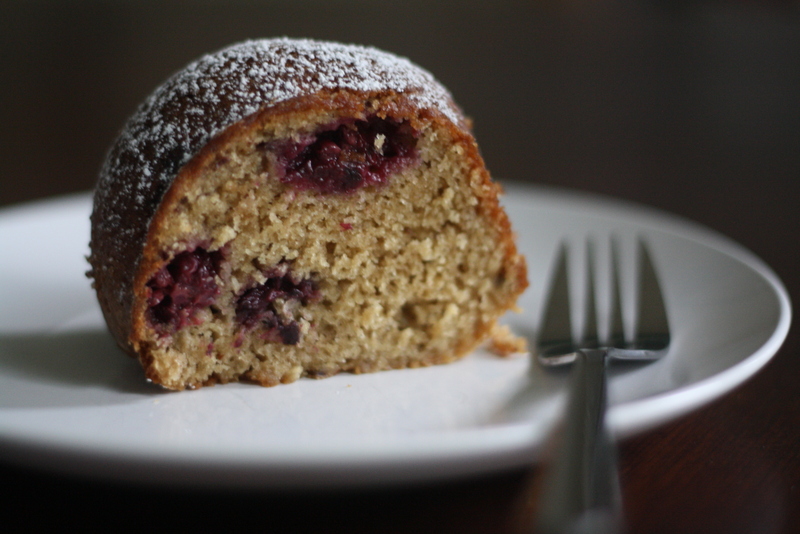 made this the other day with blueberries – really really good, love the maple syrup in there. Looks delicious! A photo on pinterest led me here. Could you tell me anything about the bundt pan you use here? (Brand/material/etc?) I love the shape of it and the fact that it looks like it doesn’t have a nonstick interior (something I prefer to avoid). Thank you! made this earlier today. fabulous cake. husband approved. thanks! I made this today. Turned out very well. Left out the maple syrup but it was very good. Thanks for the recipe! Love the blog.. This looks delicious and insanely versatile too – can’t wait to try it! I don’t even like cake, but I may have to try this one. I know I’m a year late reading this, but I wanted you to know that I’m a new fan. Tried this cake today, foe my husband’s birthday. Gave it a slathering of caramel icing. Mmmm. King-o, the Hubs, really liked it. Moist, just a bit of tart from the blackberries. Delish! Hi Jana! Caramel frosting sounds amazing on this cake. Glad to hear that it was enjoyed!